American Orchard | Historical perspectives on food, farming and landscape. One of the many issues I explored in Johnny Appleseed and the American Orchard was the question of John Chapman’s alleged vegetarianism. While I discovered some evidence that Chapman was not a vegetarian in his earlier years, he probably adopted a vegetarian diet later in life. In my efforts to contextualize Chapman’s alleged abstention from animal flesh, and speculate on its origins, I found an intriguing connection between Chapman’s religious disposition towards Swedenborgianism and the origins of American vegetarianism. For more on Chapman’s Swedenborgian religious beliefs read chapter four of Johnny Appleseed, or this blog post. While Emanuel Swedenborg did not call for believers to adopt a vegetarian diet, he did portray the move toward a meat-centered diet as a symbol of man’s fall from paradise. Genesis 1:29-30 appears to endorse the idea that plants, not animals were God’s chosen food for man. Swedenborg argued that with man’s expulsion from the Garden, “man became cruel, like wild beasts, yea more cruel, first they began to kill animals and eat their flesh.” But Swedenborg did not conclude that God intended for man to abandon meat-eating. As post-Edenic man had developed a cruel nature, meat-eating was part of their fallen state, and therefore permitted. 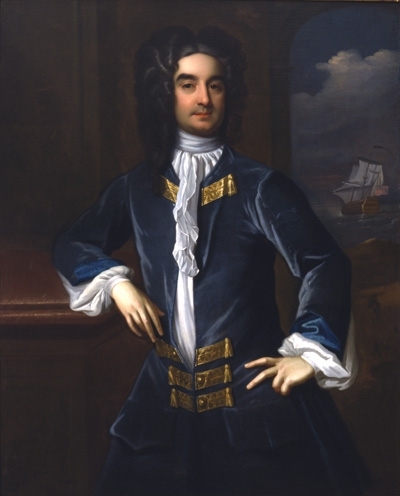 William Metcalfe, leader of the Philadelphia Bible Christians and advocate of abstinence from animal flesh. Swedenborg’s writings on meat-eating nonetheless inspired some of the early English Swedenborgians to embrace a vegetarian diet. 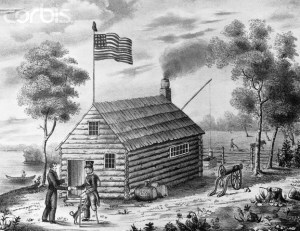 This splinter group of Swedenborgians came to be known as the Bible Christians, and they migrated to Philadelphia, a city that already had an active group of meat-eating Swedenborgians, in 1817. Over time, the Bible Christians dispensed with their Swedenborgian identity, and abstinence from both animal flesh and alcohol became their defining creed. I of course was eager to determine whether Chapman’s probable shift to vegetarianism late in life was inspired by his reading of Bible Christian literature. It was impossible for me to establish any direct connection, but we know that Chapman was a voracious reader, and especially attracted to books and pamphlets on religious subjects. Furthermore, the Swedenborgian literature he freely distributed on the Ohio frontier he acquired from Philadelphia Swedenborgians. Chapman may have independently settled on a vegetarian diet after reading Swedenborg’s explanation of man’s fall. 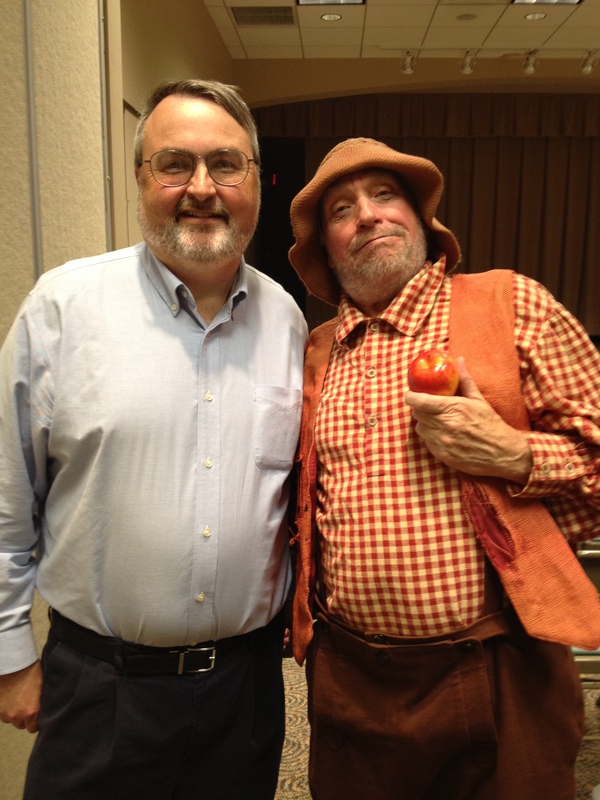 Johnny Appleseed and the American Orchard was late in the production stages when I learned that historian Adam Schprintzen was completing The Vegetarian Crusade: The Rise of an American Reform Movement, 1817-1921. In that book, Schprintzen identifies the Philadelphia Bible Christians as the progenitors of a proto-vegetarian movement in the United States. I reached out to Dr. Schprintzen and he eagerly answered my questions about the Bible Christians and their connection to the Swedenborgian movement. When the Vegetarian Crusade was published, I immediately ordered a copy and read it. The Vegetarian Crusade is an important book, and does an excellent job explaining the origins of American vegetarianism and its evolution across its first century. It should be on the bookshelf of every scholar of antebellum American history. Schprintzen sets the early movement in the context of antebellum reform. 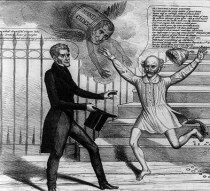 Early advocates of abstinence from meat, like all reformers of the era, understood their actions as part of a greater movement to improve society, to cleanse it from its sins, and for some, to help usher in Christ’s millennium. They drew connections between their movement and other reforms–non-violence, anti-slavery, women’s equality, and health to name just a few. Schprintzen does an excellent job explaining these connections in the years before the Civil War and in helping us understand the beliefs of these proto-vegetarians. But that is just the first part of the Vegetarian Crusade. Schprintzen offers his readers much more that that, mapping out a clear and persuasive narrative explaining how we get from this antebellum proto-vegetarians to modern vegetarianism. That narrative introduces us to nationally-famous health reformer Sylvester Graham, a campaigner against white bread and advocate of a high fiber but bland and meatless diet, the emergence of the American Vegetarian Society in 1850, and explains how the Civil War and the post-war commercialization of a vegetarian diet by John Harvey Kellogg and others in the late 19th and early 20th century. It has been my intention to write a thorough review of Vegetarian Crusade and post it on this blog. Perhaps I will eventually find the time to give this excellent book the thorough review it deserves, but in the meantime, I’d like to point you to a place where you can learn more. So pick up a copy of Adam Schprintzen’s Vegetarian Crusade and subscribe to Ben Franklin’s World podcast today. You won’t regret it. The focus of American Orchard, according to its subtitle, is to offer “historical perspectives on food, farming, and landscape.” Those who know me understand that trees, and especially apple trees, are the focus of much of my research. 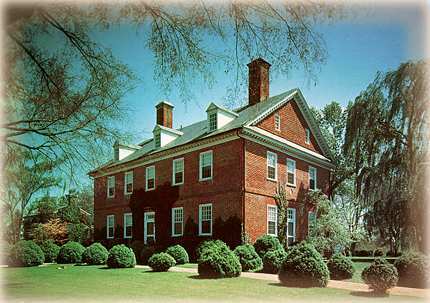 But as a professor at a small liberal arts college I teach broadly, and the American Civil War and its memory are both a personal interest and a focus of much of my teaching. I occasionally find opportunities where my interests in trees and the Civil War intersect, and perhaps some of you have read my entries on efforts to restore battlefield orchards, at places like Gettysburg, Fredericksburg, and Antietam, and perhaps also my ramblings on Johnny Appleseed and Stonewall Jackson in American memory. I have found an opportunity to explore that intersection of interests once again. 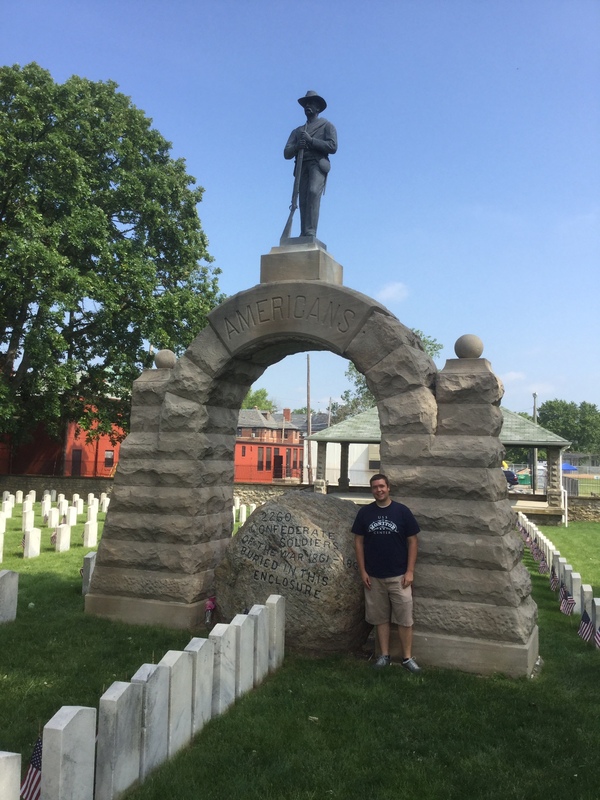 This summer I have been working with an exceptional undergraduate student who is completing a research project on historical memory of the Camp Chase Confederate Cemetery in Columbus, Ohio. As the nation struggles to reconsider how the Civil War should be remembered in the wake of horrible events in Charleston, South Carolina, my student could not have fallen upon a more timely topic, and I look forward to what promises to be a unique and significant contribution to scholarship on Civil War Memory. 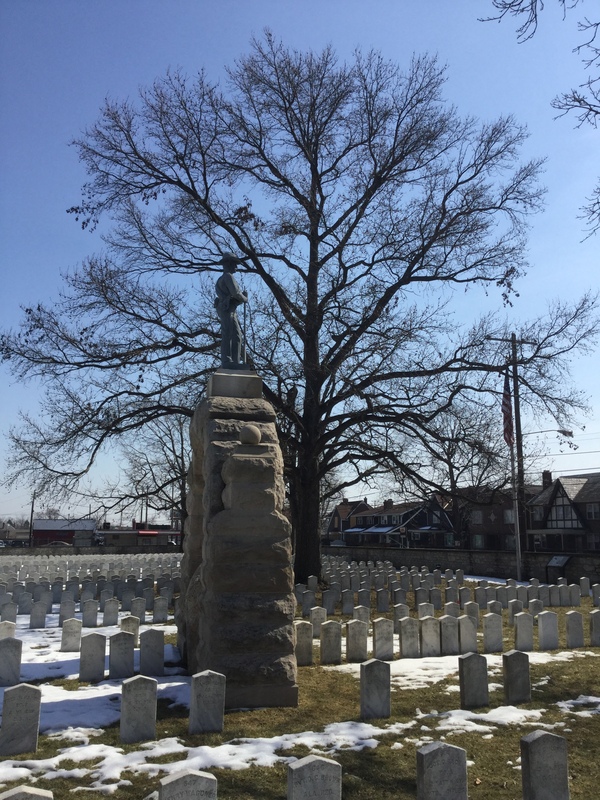 The Camp Chase Confederate Cemetery in the Hilltop neighborhood of Columbus, Ohio holds the remains of 2260 Confederate soldiers, most of whom died in the Camp Chase prisoner of war camp during the Civil War. For many years after the war, this Confederate Cemetery in the heart of a Union state was largely neglected and overgrown. 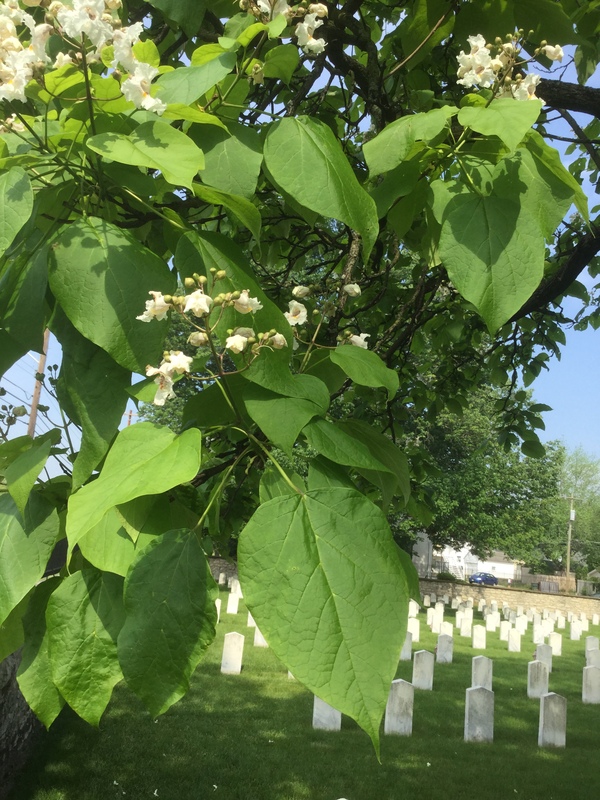 In the 1890s a local Union veteran made it his mission to restore the Camp Chase cemetery, so that it might be a suitable place to remember the Confederate soldiers buried there. William Knauss had been wounded at the Battle of Fredericksburg in December 1862. Years later he made a visit to the city to revisit the site of this terrible battle, and a former Confederate soldier, also wounded at Fredericksburg, gave him a tour of the battlefield. The two men found “common ground” in a quite literal sense while walking the landscape of their past suffering, and they made a pact that whenever either of them came across the untended or forgotten graves of soldiers on the other side of this conflict in their home states they would do what they could to restore and protect them. 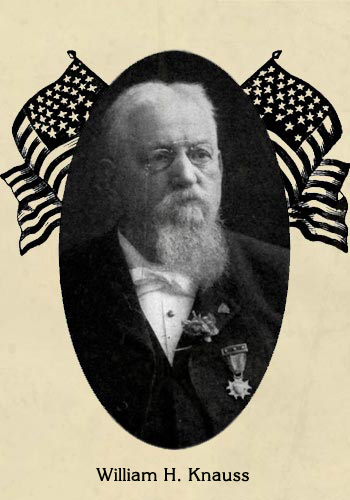 Restoring Camp Chase cemetery was William Knauss’ effort to honor that pact. He had a new stone wall erected around the cemetery, improved the gravesites, and commissioned a granite arch to be installed in the center of the cemetery. The arch was engraved with the word “Americans,” and topped with a common Confederate soldier. And then William Knauss did one more thing. He wrote letters to Confederate veterans organizations in every southern state, and asked if they would send small native saplings to him, so that they might be planted amidst the graves of the Confederate dead, who may not have made it home, but might now rest beneath the shade of southern trees. Many veterans organizations responded, and more than a century later, about a dozen mature trees provide shade for the Confederate dead. Some of them are not these original trees, but many of them almost certainly are. Today a Walnut tree, several Oaks, a Tulip Poplar, a wide-spreading Sweet Gum, and a majestic old Catalpa cool the ground where these men lay. Almost every year since William Knauss restored the cemetery one organization or another has held a ceremony to remember the men buried there. For much of the twentieth century, a local chapter of the United Daughters of the Confederacy organized the ceremony; since 1995 it has fallen to the volunteers of the Hilltop Historical Society. 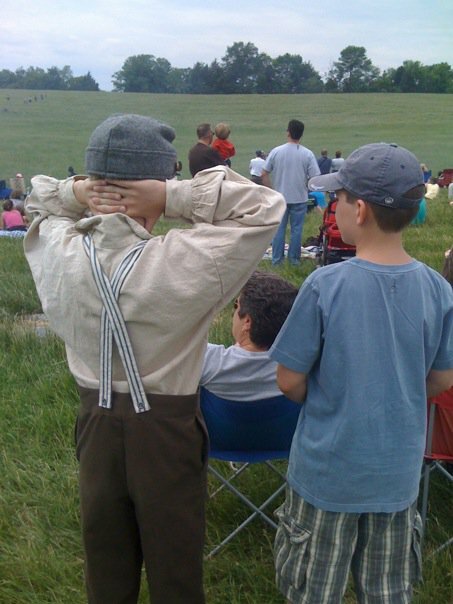 A few weeks ago my student and I attended the annual ceremony conducted by the Hilltop Historical Society to remember the men buried there. The ceremony was beautifully done, and the main speaker struck just the right tone. He told the stories of three of the men buried there, of their horrible suffering, and their tragic end. We remember these soldiers, he suggested, because they were among those who even after death, were unable to return home. There was no Lost Cause mythology in the ceremony, no effort to explain away slavery as the cause of secession, nor, thankfully, to portray slavery as a benign institution. A Union Regimental Band plays under the shade of a mature Sweet Gum tree. 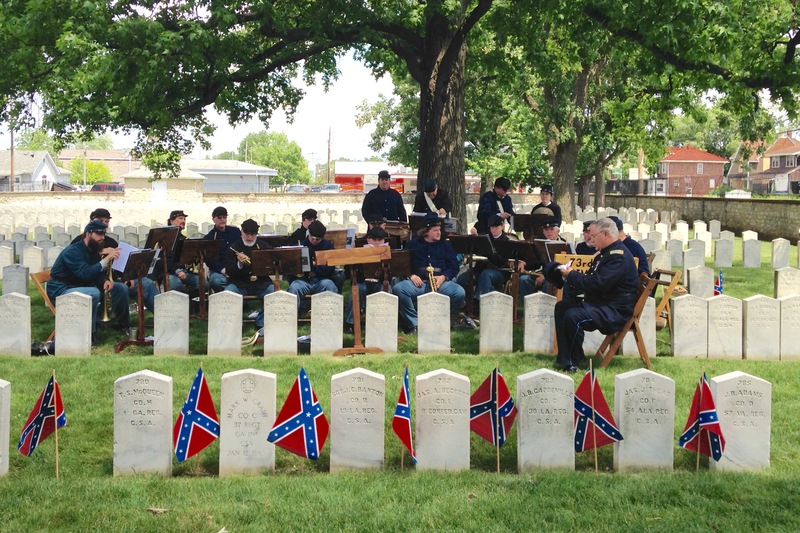 Confederate battle flags decorate the graves of the southern dead. Still there was one aspect of the ceremony that gave me pause, and that was the planting of Confederate battle flags in front of the graves of the Confederate dead. The flags seemed even more problematic in the shadow of an arch that declared these men “Americans,” and also knowing that when my student and I had visited the cemetery just a few weeks earlier, just after Memorial Day, we found that a local Girl Scout troop had decorated each grave with an American flag. Could these men be both agents of a political movement that sought the dissolution of the nation, AND Americans? Lincoln and the North went to war because they believed these men to be Americans, deluded by demagogic leaders of the Slave Power, but Americans nonetheless. Yet so many of the champions of the Confederacy, during the war and after, argued that their right to separation was built in large part on the grounds that they were “Southrons,” a culturally distinct people from northerners. Would these men have identified themselves as “Americans” in 1864 and 1865, the year so many of them perished from hunger, cold, and disease? It is not an easy question to answer. 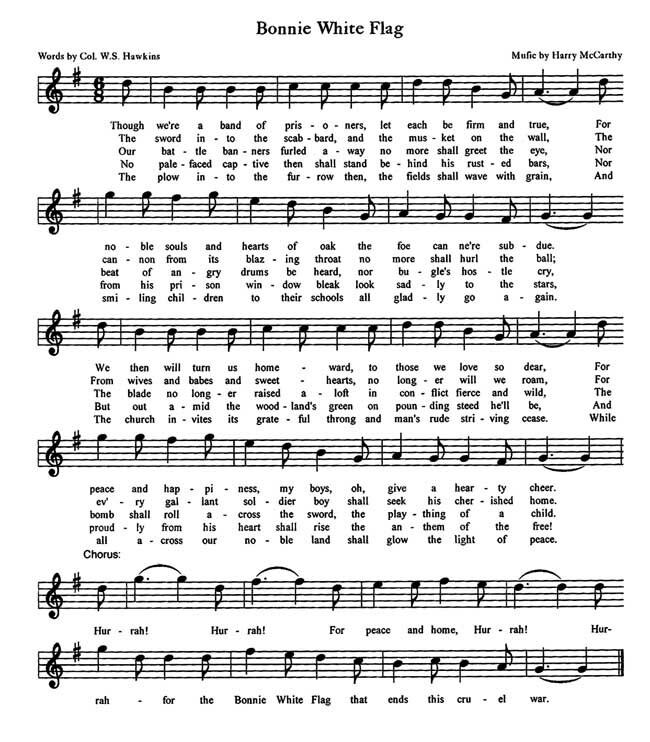 Many had marched off to war years earlier singing “The Bonnie Blue Flag,” a song that declared they were fighting for their “property” and “For Southern Rights, Hurrah!” Yet late in the war, a southern prisoner at Camp Chase rewrote the popular song, changing the title to “The Bonnie White Flag,” the chorus to “Hurrah, Hurrah, for peace and home hurrah!” and including the language “Our battle banners furled away no more shall greet the eye, nor beat of angry drums be heard, nor bugle’s hostile cry.” Many of the men buried in the Camp Chase cemetery were likely among the first to sing this new anthem to peace and home. There is reason to question whether these dead would have welcomed the planting of the Confederate battle flag upon their graves. So how should we remember these men, who suffered and died so tragically, and so far from the homes to which they hoped to return? I can think of no better monuments to their memory than the majestic southern trees that now shade their graves, trees which in some small way brought “peace and home” to them. 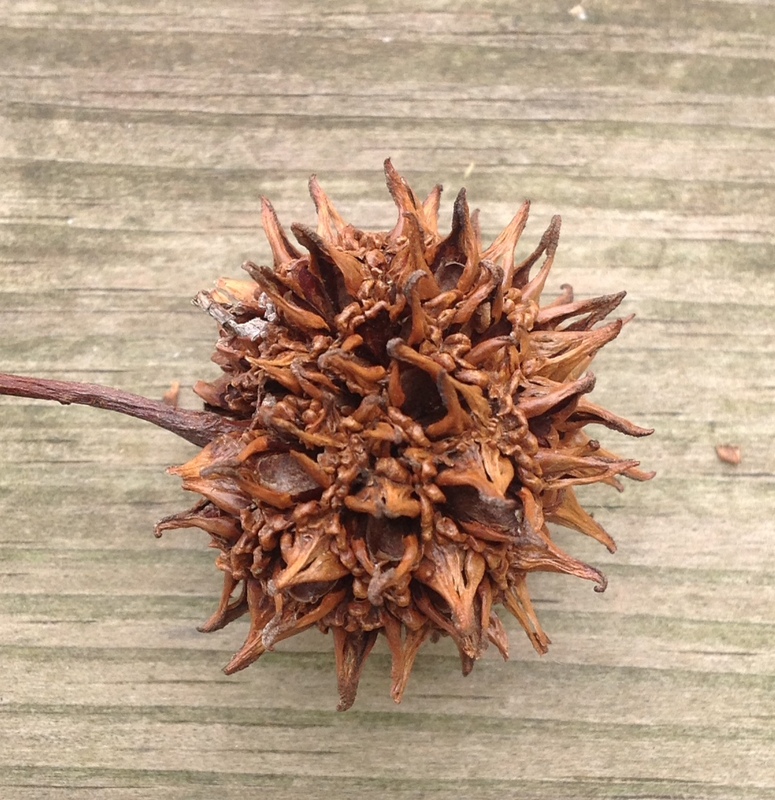 Southern Sweet Gum at Camp Chase Cemetery in Winter. Richard Townsend arrived in North America with the first group of Quaker colonizers to Pennsylvania. According to one Bucks County legend, when the local Lenni Lenape Indians found him setting out fruit trees in his private orchard, they told him about a giant apple tree that grew not far from his new homestead. Curious, Townsend asked his Indian neighbors to lead him to the site, and was surprised to find ““an apple tree in an Indian clearing, vastly larger than any seen in England, heavily loaded with larger and better apples than he had ever seen before.” Perhaps the tree, which appeared to be an Old World variety, had been planted intentionally or otherwise by Native Americans who had acquired apples from Dutch settlers in New Amsterdam. Townsend asked the Indians to sell him the land on which the mysterious tree stood. The Indians agreed to sell him the land on the condition that the tree remain available “for the free use of all who wanted apples,” a condition Townsend accepted. According to this legend, the tree survived until 1792, 107 years after Townshend first encountered it. 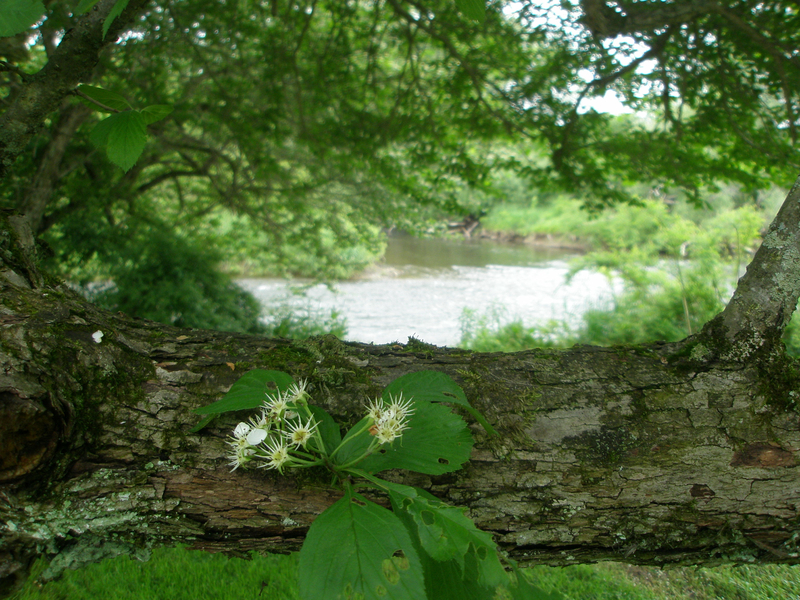 The story highlights a fundamental difference in the way Native Americans and Europeans viewed perennial fruit trees. 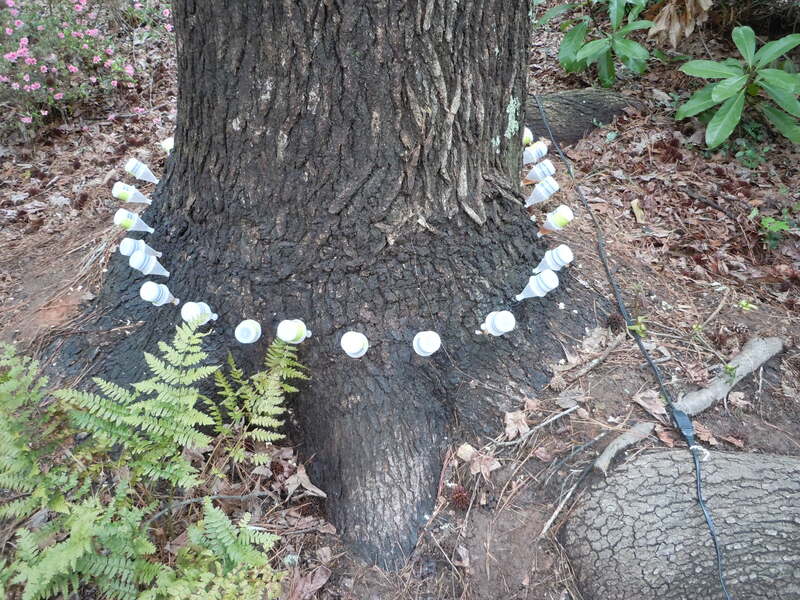 For the Lenni Lenape, fruit hanging from a branch could not be “owned” by an individual, nor could an individual claim private ownership of the tree from which it grew. Ownership came with the act of harvesting. As Europeans remade the North American landscape, they also rewrote the rules of property which applied to that landscape, and the radical idea of “public fruit” essentially disappeared. across America, volunteer organizations like The Philadelphia Orchard Project, the Boston Tree Party, the Portland Fruit Tree Project and Seattle’s City Fruit have been planting urban orchards or taking on the responsibility of caring for and harvesting fruit from already existing urban trees. 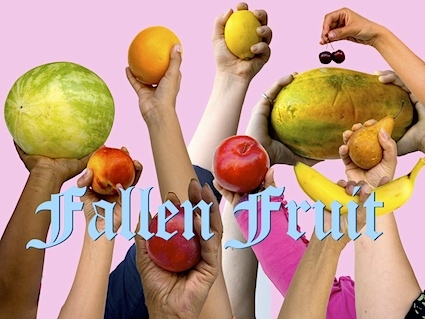 The public fruit movement achieved another milestone recently when the Los Angeles based collective, Fallen Fruit, which has been producing maps of publicly accessible fruit for years, opened the city’s first public fruit garden. The Carolina Parakeet was not a parakeet at all, but North America’s only indigenous parrot. Despite Byrd’s belief that they were only a threat to North Carolina’s orchards, the Carolina Parakeet was climate hardy, had a quite diverse diet, and a wide geographical range. It could be found in forest lands as far north as New York, and as far west as the Mississippi valley. 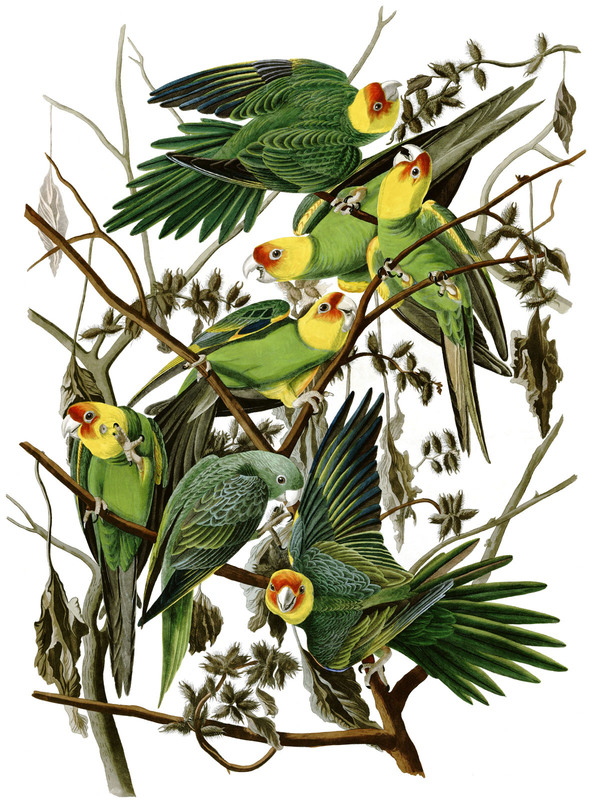 A gregarious creature, Carolina Parakeets traveled in flocks often containing five hundred or more birds, fed itself on the seeds and nuts of the forest, and nested in the cavities of hollow trees. eats or destroys almost every kind of fruit indiscriminately, and on this account is always an unwelcome visitor to the planter, the farmer, or the gardener. . . They assail the Pear and the Apple-trees when the fruit is yet very small and far from being ripe, and this merely for the sake of the seeds . . . they alight on the Apple-trees of our orchards, or the Pear-trees in the gardens, in great numbers; and as if through their mischief, pluck off the fruits, open them up to the core, and, disappointed at the sight of the seeds, which are yet soft and of a milky consistence, drop the apple or pear, and pluck another, passing from branch to branch, until the trees, which were before so promising, are left completely stripped, like the ship water-logged and abandoned by its crew, floating on the yet agitated waves, after the tempest has ceased. Do not imagine, dear readers, that all these outrages are borne without severe retaliation on the part of the planters. So far from this, the Parakeets are destroyed in great numbers, for whilst busily engaged in plucking off the fruits or tearing the grain from stacks, the husbandmen approaches them with perfect ease and commits great slaughter among them. All the survivors rise, shriek, fly around for a few minutes, and again alight on the very place of most imminent danger. The guns kept at work; eight or ten, or even twenty are killed at every discharge. The living birds, as if conscious of the death of their companions, sweep over their bodies screaming as loud as ever, but still return to the stack to be shot at, until so few remain alive, that the farmer does not consider it worth his while to spend more of his ammunition. I have seen hundreds destroyed in this manner in the course of a few hours . . .
Other observers also noted that the close bonds Carolina Parakeets formed with others in their flock made them easy prey for an angry farmer. The ease with which farmers slaughtered the grieving birds was no doubt one factor in their extinction, but does not completely explain their disappearance. While stories of their dramatic and rapid destruction of orchard fruit were frequently repeated, they were not so common that they constituted the orchard’s greatest natural threat. And many farmers recognized the Parakeets value in helping rid his land of another pest. 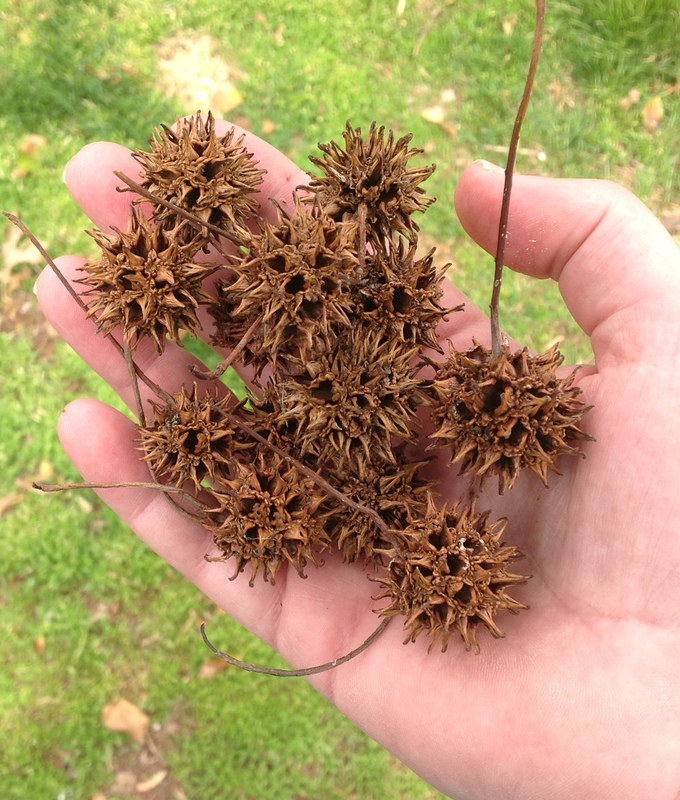 The poisonous cockle-bur, which invaded farm fields and sometimes killed livestock was among the Parakeet’s favorite foods, and no farmer minded when the Parakeets rid his field of them. Habitat destruction may have played as great a role as the farmer’s gun, as fields and orchard replaced the forests in which the birds nested. The Carolina Parakeet may have also suffered from new competition for nesting sites with the arrival of an insect colonizer, the European honeybee, which filled the hollows of many potential trees with honey and honeycomb. 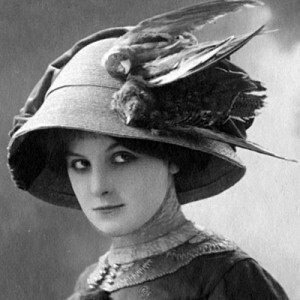 Other factors which also contributed to its demise include the demand for hats decorated with dead birds which became all the rage near the end of the 19th century, and the last of the birds may have been felled by disease they picked up from domesticated poultry. 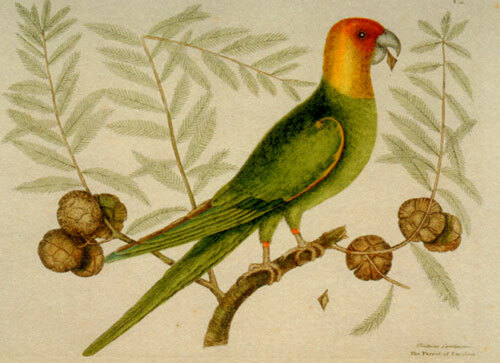 In the end, Euro-American husbandry practices appeared to be a greater threat to the Carolina Parakeet than it was to the farmer’s orchards. California fruit growers appealed to eastern consumer’s ideas about the west coast as a paradise, and often featured pictures of attractive women enjoying the outdoors, or beautiful landscapes of fertile valleys bounded by mountains and sea. For much of the 19th century, the American apple industry was concentrated in the eastern part of the country, and markets for apples were primarily local or regional, and much of the nation’s apple production occurred on farms where fruit growing was but one of many agricultural activities. In the late 19th century, with the development of a national railroad network and refrigerated rail cars, and the introduction of chemical pesticides and fertilizers, a new, more specialized fruit growing industry emerged along the Pacific Coast. Apples produced in the fertile valleys of California, Washington and Oregon could now be shipped to consumers across the nation, and arrive in pristine condition. But as western fruit growers developed their industry, they had to develop distinctive methods for packing their apples. In the east, apple growers typically rolled oak barrels out into the orchards and quickly packed the apples direct from tree to barrel. Once a barrel was filled and the lid secured, the farmer could roll the barrel out of the orchard before loading on a wagon. The fruit inside made its full journey from orchard to store in the barrel, and the merchant typically sold the fruit straight from the barrel. The softwood fruit crate was a necessary innovation from the west coast fruit industry. But it also had the advantage of reducing shipping costs with its greater packing efficiency. 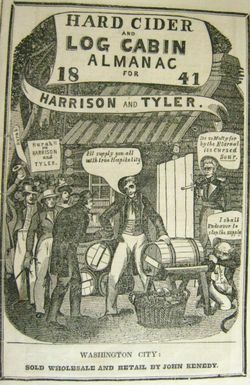 On the west coast, a shortage of hardwoods made the barrel an impractical container for getting fruit from orchard to store. Instead, west coast growers built small softwood crates, and carefully packed fruit in these smaller containers. The rectangular shape of the crate also increased packing efficiency as fruit traveled across the nation by railcar. Apples from the Pacific Northwest (and apples and citrus fruit from California) proved to have great appeal to eastern consumers. Every specimen arrived at the grocer’s in good shape, whereas apples at the bottom of large oak barrels were often bruised and unappetizing. Finally, by decorating the crate with colorful brand labels, western fruit growers appealed to consumer’s aesthetic sensibilities, and sometimes cultivated brand loyalty. Eastern consumers often associated the west with Indians, so many fruit crate labels used images of Native Americans in their branding. This unusual label reveals the twentieth century American consumers’ interest in food products that were consistent and predictable in flavor and appearance. By the 1940s, American apple consumers were increasingly obsessed with the physical appearance of the food they consumed. Fruit Growers responded to a perceived consumer preference for “good looking” fruit by cultivating “sports” which were striking in their color and appearance. 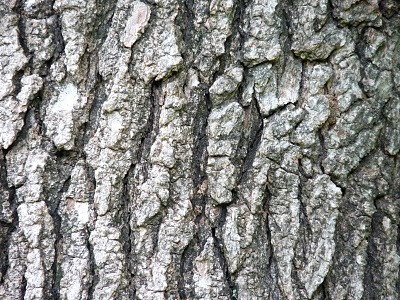 A “sport” is a naturally occurring genetic mutation in a grafted tree, which can than be propagated by grafting. “Red Sports” were all the rage, and growers became more and more concerned with production of apples with the best color. Many argue that they did this at the expense of flavor. By the 1950s, red sport varieties of the Delicious and the McIntosh were dominating an apple market which increasingly lacked choice and diversity. This “Oregon Girl” label anticipates the transition to a global apple market. Today fruit crate labels are highly collectable, and most of those which survive come from west coast orchards. Eventually, east coast growers began to recognize the effectiveness of the fruit crate label as a marketing device, and they began to emulate their western competition. so labels from eastern producers can be found, but are less plentiful. The golden age of the fruit crate label were between the 1890s and the 1940s. By the 1950s, corrugated cardboard boxes began to replace the fruit crate, and while commonly stamped with colorful brand images, they lacked the vivid color and appeal of the softwood fruit crate label. 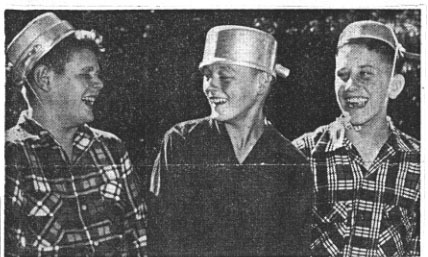 While researching my book, Johnny Appleseed and the American Orchard, I sifted through mountains of oral traditions and tall tales about the legendary apple tree planter. What proved to be more difficult to find were concrete traces of the real John Chapman preserved in the historical record. Some of the more useful sources of information about Chapman were Dry Goods Store ledgers in some of the communities where he resided. But I was certainly caught by surprise with a discovery I made at the Crawford County Historical Society in Meadville, Pennsylvania. 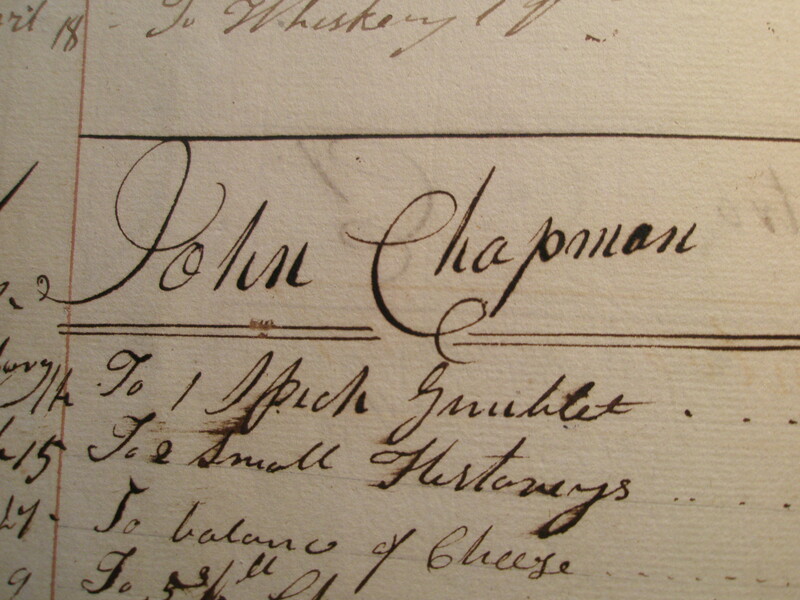 There, in a Holland Land Company store ledger from the 1790s, I found this list of items purchased by John Chapman: brandy, whiskey, sugar, chocolate, tobacco, three pairs of “mockasins,” gunpowder, and pork. 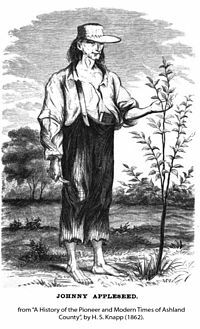 In the popular legend Johnny Appleseed carried no gun, went barefoot everywhere, was loathe to harm any living creature, was a vegetarian, and is sometimes described as a teetotaler. These brief entries in the Holland Land Company records appeared to upend those legends. In fact the Holland Land company store ledger isn’t the only story that suggests John sometimes carried a gun. A story from Warren, Pennsylvania describing his first crossing of the Alleghenies also has him fitted out with a rifle. And one of the central Ohio stories recounting Chapman’s time there during the War of 1812 has John responding to suspicious gunfire by grabbing his own rifle to investigate, and returning later with a venison ham given to him by the deer-hunting neighbor responsible for the first shot. 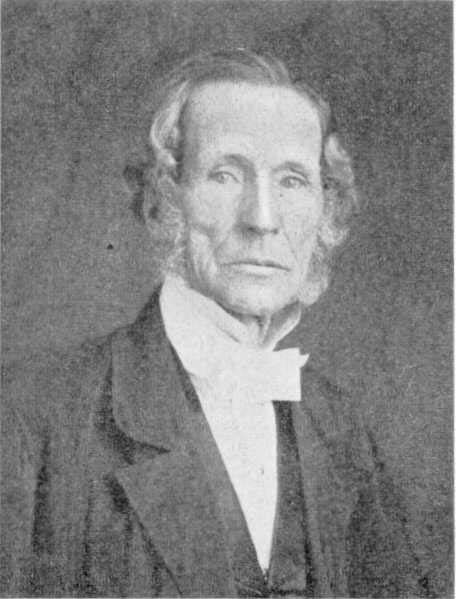 The Reverend William Metcalfe, leader of the Philadelphia Bible Christians, one of the earliest advocates of vegetarianism in the new nation. mid forties, what was perhaps the first vegetarian community was established in Philadelphia. The Reverend William Metcalfe and his followers, calling themselves the Bible Christians, shared with John Chapman an interest in the writings of the Swedish mystic Emanuel Swedenborg. . Metcalfe’s conversion to vegetarianism was at least in part a response to Swedenborg’s description of meat-eating as a dramatic sign of man’s fall. By the end of the 1820s, vegetarianism had found other American advocates as well, including Sylvester W. Graham, promoter of the Graham diet, and Bronson Alcott, father of Louisa May Alcott. All three of these early American advocates of vegetarianism argued for it on both spiritual and scientific grounds. As for those moccasins, Chapman’s aversion to footwear is recounted in many sources that span his adult life. But there are also surviving stories which recount that in times of very severe weather, he might be seen wearing the ragged, discarded boots of others. But even these he would give to others who in his mind needed them more than he did. 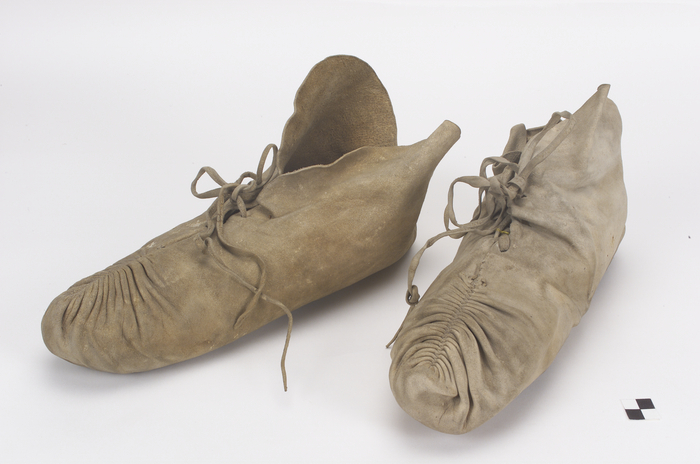 The three pairs of moccasins he acquired at the Holland Land Company Store in 1797, he may have purchased because they would be easy to carry, and might be traded for other things he needed, or be given to others in need. And what should we make of the brandy and whiskey John Chapman purchased? John Dawson, who knew Chapman in his later years recalled that he “was generally regarded as a temperate man . . . but occasionally he would take a dram of spirits to keep himself a little warm, as he said.” That John Chapman was not a fiery prohibitionist should come as no surprise. Many of the apples from the seedling trees John Chapman planted found their way to the cider mill, where they were converted to cider, both hard and sweet, and some then into cider brandy. But that is a subject worthy of a future post. The latest issue of Inside Jersey Magazine has a nice article by T.J. Foderaro about the new American hard cider craze. Mr. Foderaro called me up early this summer and we had a nice conversation about the history of hard cider in America. I was pleased with the article, and that Mr. Foderaro was willing to help me explode the popular myth that it was 1920s-era prohibition that was the cause of hard cider’s demise. This myth is in part the result of a common confusion about the history of anti-alcohol movements in the United States. 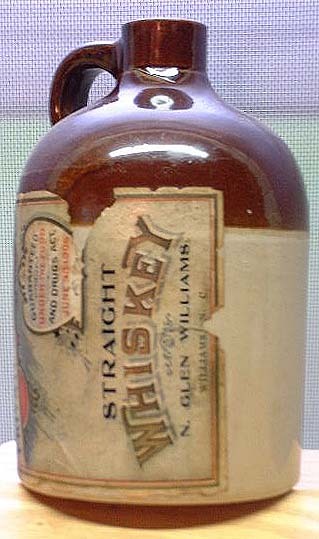 A popular temperance movement emerged in the 1820s, and quickly gained ground, but most early supporters of that movement embraced a strategy of moral suasion, not prohibition, believing alcohol abuse to be a sin, and seeking to give the sinner the opportunity to repent and save themselves, rather than denying the sinner the possibility of redemption by using the force of law restrict access to alcohol. 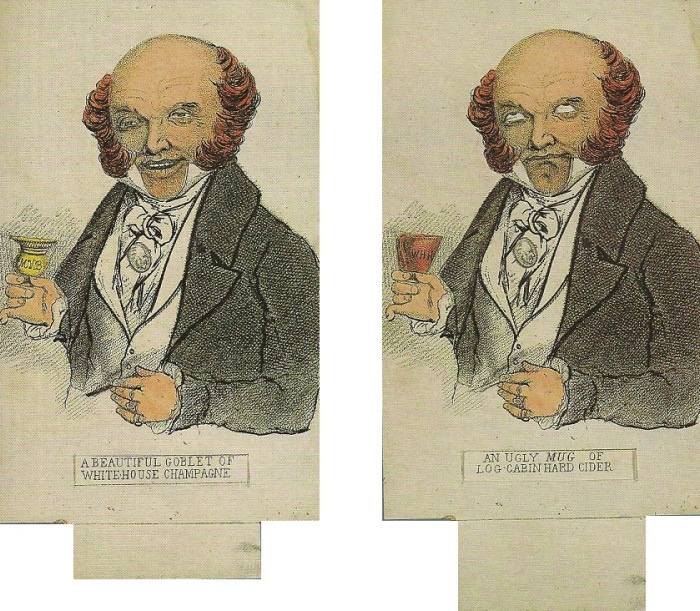 Many early advocates of temperance even drew a distinction between distilled spirits, and the milder levels of alcohol in cider, beer, and wine, and simply urged people to stay away from demon rum, whiskey, and other potent forms. 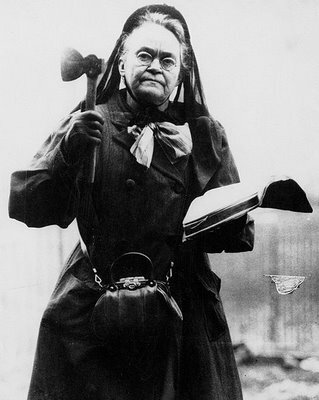 Carrie Nation may have used her axe on a number of saloons, but she can’t take credit for the demise of the cider apple. To be sure, from the outset one wing of this early temperance movement, often described as “ultras” opposed the consumption of alcohol in any form, and some embraced a strategy of using the force of law to prohibit production and sale of alcohol. By the late 1820s, stories circulated about temperance advocates chopping down their own seedling orchards, as the apples which grew on this tree were the prime source of hard cider and cider brandy. (I discuss that early war on the cider apple in this post.) But evidence that widespread, temperance-motivated destruction of “wild apple” orchards is slim. After the Civil War the anti-alcohol movement gained strength, promoted by groups like the Women’s Christian Temperance Movement which adopted a campaign for legal prohibition. That movement claimed victory with the ratification of the 18th amendment in 1919. Long before that time, beer had eclipsed hard cider as the popular choice of Americans who chose to imbibe. 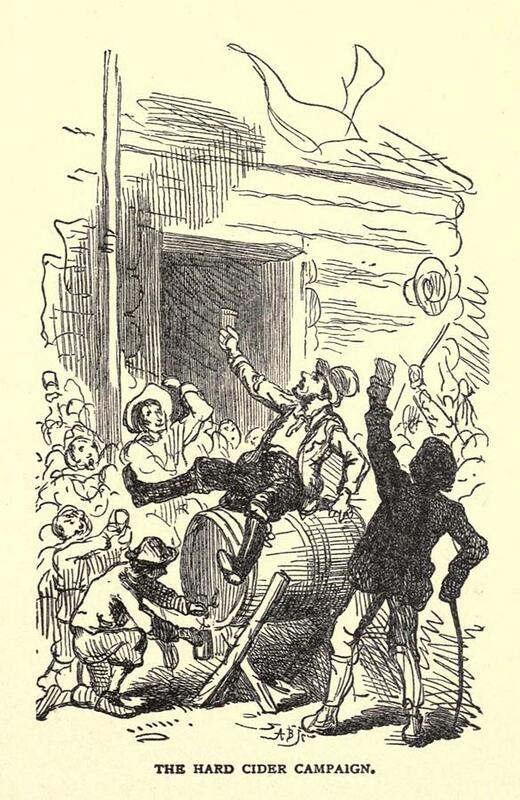 So what led to the mid 19th century demise of hard cider? It is my contention that it faded with the frontier. Unlike today’s popular craft ciders, most early American cider was a homemade hodgepodge of any available apples, dumped into the press in any condition. It was the poor man’s drink. 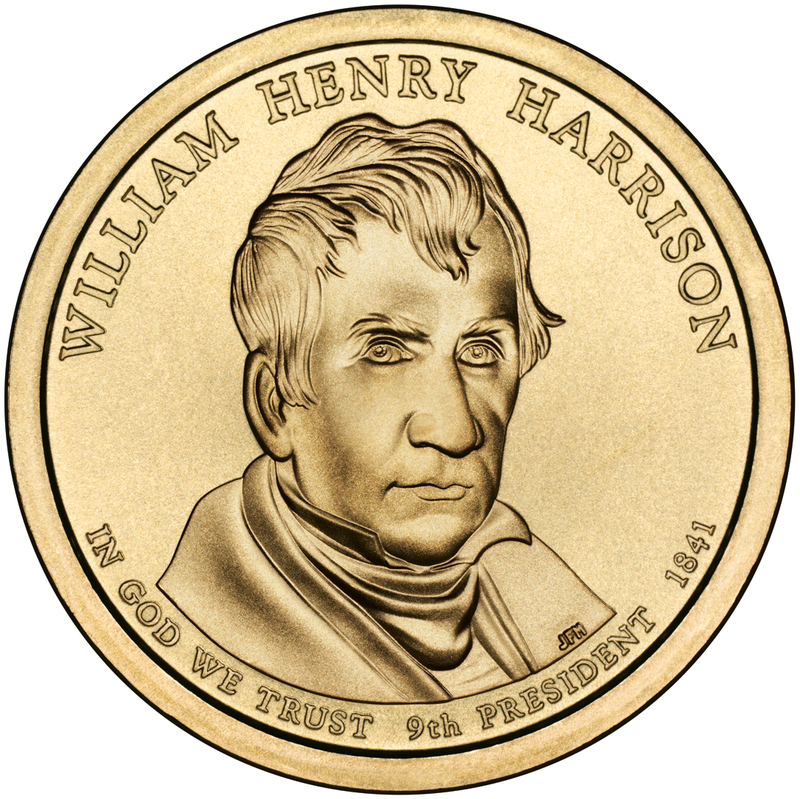 In 1840, when William Henry Harrison ran a successful populist campaign for the presidency, he employed the log cabin and hard cider as symbols of his fictionalized common roots. (I examine that story of that campaign in this post.) By the middle of the 19th century, as Americans increasingly embraced the modern, a new wave of German immigrants offered them the alternative of beer brewed in state of the art breweries, and hard cider faded from the scene. Oregon-based Reverend Nat’s Hard Cider is one of more than 350 American Cider producers to appear in recent years. Mr. Foderaro also interviewed Chris Lehault (aka @bittersharp) and Anthony Belliveau-Flores for the article. Mr. Lehault is a writer for the Serious Eats website, and is among the most knowledgeable experts on the modern hard cider movement. Anthony is a cofounder of Rowan Imports, which has worked tirelessly to bring the finest imported ciders to the American market. In case you haven’t noticed, Americans have rediscovered a taste for fermented apple juice, aka hard cider. Cider sales have grown about 100 percent annually for the past few years, and new brands — both domestic and imported — are proliferating on store shelves. And yes, I did say “rediscovered.” Much has been made of our Founding Fathers’ taste for rum imported from the Caribbean and fortified wine shipped from the island of Madeira. But the fact is that locally made hard cider was the alcoholic beverage of choice for most Americans during the first couple hundred years of our country’s existence. There were as many different styles of cider as there were varieties of apples — which is to say hundreds. Many growers boosted the alcohol level of their ciders by setting barrels out to freeze in the late fall, Kerrigan says. The ice that formed on top was mostly frozen water, leaving a higher level of alcohol in the remaining liquid. The more alcohol, the less prone the cider was to spoilage. Truth be told, though, most of the cider made back then was of poor quality. According to Kerrigan, visiting Englishman often would comment on the sorry state of Colonial cider-making. But that only partly explains why hard cider all but disappeared from the American scene by the late 19th century. Historians continue to debate the reasons for cider’s demise, but Kerrigan believes it’s rooted in Americans’ newfound sense of progress, modernity and industry. Then, following the Revolutions of 1848 in Europe, waves of German immigrants introduced America to beer. So much so that, even before Prohibition, Americans had all but stopped making and drinking hard cider. Continued . . .